You know it's been almost a week since my last entry. I am still working up on the momentum to update my blog, often being side-tracked by Facebook. Neither good neither bad ... I just have to be more organised. While checking on my FB news feed earlier, a status from http://positiveatmosphere.com got me thinking and perhaps it might you too. "Before I die I want to ......................... "
I guess I'd better work harder on picking up my momentum because before I die I want to enjoy my life more, have a more relax approach to life, do more and share more with a hope that I can move others forward to live positively and deliberately. I have already successfully incorporate it as my way of life and this is a legacy I hope to leave behind ... that I had live unreservedly, compassionately and meaningfully. 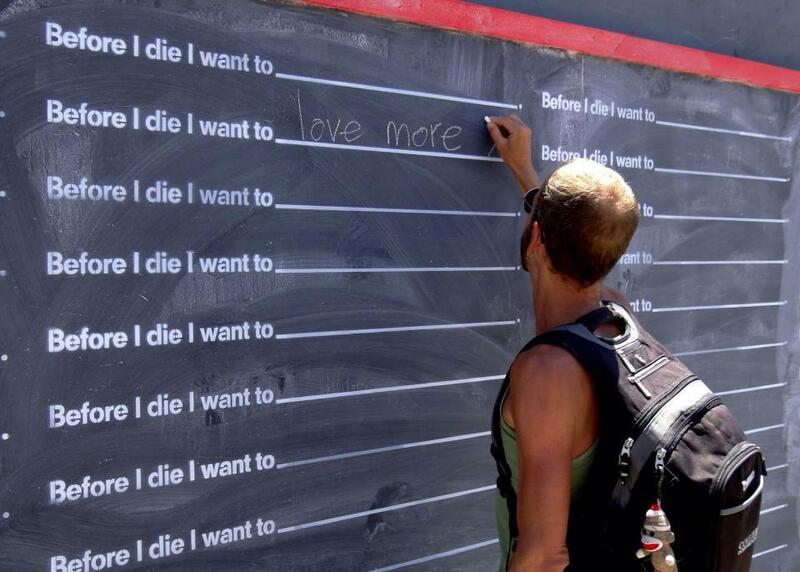 What's your take on this ... "Before I die I want to?" Life takes unexpected turns so it's best to plan for a hundred years but live every day like it's your last. Thanks for stopping by Sandi. So happy to hear your thoughts and I do agree with you. We can be proactive to plan for the future as goals keeps us focus and motivated but let's not forget to live and enjoy the current moments that continually supply us the resources, enthusiasm and energy.